Hi. Aren't you excited, you get to hear from me twice in one day! Haha!! I have recently discovered Paper Makeup Stamps. Katie has a wonderful collection of fairies, monsters and a little something called Calliope. She also is very quick to ship! PMS has a great blog, too, and Katie's momma created a card for Katie that is now the sketch of the week. I was very excited to see that 'mom' used Chellie, which is one of the stamps I got last week. Here's my version of the sketch. I hope you like it and Katie, I hope I did you and your Mom proud. I used PTI Stampers Select cardstock as my base. Then I ran a white piece of cardstock through my Cuttlebug with Swiss Dots and then inked them to bring them to life with Green Galore ink. I picked up the cute polka ribbon and shamrock from Michaels yesterday (when I went in for 1 piece of paper!). I colored Chellie with Kohi-noor pencils (love these) and used Green Galore cardstock for the mats. Super easy and I think it's adorable. The "good luck" sentiment is from PTI Mini-Messages. Emotional Baggage - No this is fun!! It's Saturday - happy weekend to you! And welcome to the 4th installment of Super Challenge Saturday. 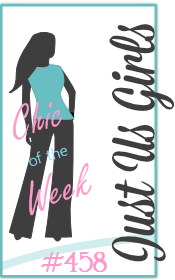 First of all, Joni - our hostess for this weeks challenge, has some great samples on her blog so be sure to check out her blog and leave her some love! So this week's challenge is Emotional Baggage. Ladies, we all get attached to our purses. I have a friend who is obsessed with her purses much like some of us are with shoes. So the challenge is to let a purse/bag/luggage inspire you. Upload your creation on SCS using keywords BLOGC4 and be sure to leave a comment on any of the blogs so we can check it out! Have fun!! Here's my challenge card. My inspiration is my purse that my sister gave me. Here's how the story goes, T came out here for a visit over the summer and she had the most awesome purse with her. I told her I wanted it. So after a couple of days, she said that if I bought her one like the one I had then I could have it. Off to Kohls we went! It's a Sherpani and you just can't get them out here. Let me know what you think. I used Chocolate Chip for the base. Then to re-create the lining of this purse I pulled out an old punch and started punching the edges. Then I backed it with some green paper and then stamped the flower centers and outlined the flowers. The mats are Tempting Turquoise and Chocolate Chip and then picked the stamp that best represented how I felt when my sister said she'd give me the purse. Have fun with this - I can't wait to see what you come up with! For the base I used Whisper White (I'm running low - yipes!) then I used Yo-Yo Yellow that I embossed with my very first Cuttlebug folder I ever owned. Gotta love the Swirls! Next is the layer with the image and since I chose white, the top part was begging for a bit of color. So I pulled out my PTI Polka Dots stamp set (which I still stink at using) and added some dots. Then the strip is Lavendar Lace with LL polka dots. This little cow, the set is discontinued, is so darn cute. I just love this little set. Maria introduced me to it and I got it from Melinda when she was selling off TAC stuff to make room for SU! stuff. Finally I finished it with a sentiment that comes in the set and topped it off with a flower. Heather - I hope I did you proud. 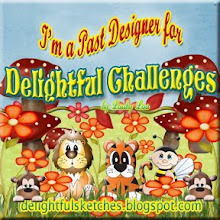 I am discovering so much more with challenges not only with my cards but with my blog. I'm learning how to add cute backgrounds and my newest is a signature! I learned this off of Jessica's blog. But I wanted to share my card that I made for the sketch Marie at The Greeting Farm just had. I didn't win, but I did have fun making this card. 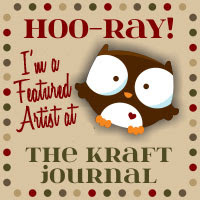 I learned something else... how to take free clip-art and turn it into a digi-stamp! I found the seashells via MSWord and then changed it to black and white. Instant digi-stamp and then I painted them with Lumiere paint. I just wish I had something to give them a tinge of pink, but I was afraid of ruining them. I did use my Twinkling H2Os to color Mermaid Anya. Sadly, the company that makes them is going out of business. I do hope this economy turns around soon. And of course, all my cards have to feature Cuttlebug somehow. Ack! Did you notice?? Not a single thread of ribbon!!! 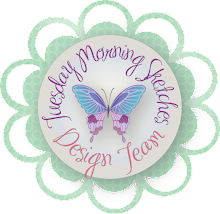 I missed The Pink Elephant Challenge Blog Challenge #2. Actually I did it and hated the results. But this time it's a sketch and I love sketches. They are sooo helpful!! So this is my interpretation of the sketch. Don't you just love this adorable fairy? Actually this card contains lots of new. For the base, I used Whisper White, not new, a trusted old friend. The new is the decorative paper which is digi-dp. How cool is that! 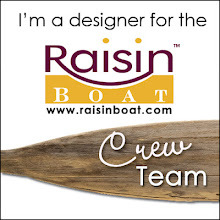 I have never played with digi-paper before and GinaK is giving away 2 yummy designs for FREE. This one is from the Floral Elegance paper pack. It's so pretty! Then the other new is my Lauren in Love stamp from Paper Makeup Stamps. She arrived on Saturday and I just think she's adorable. I've always been a fairytale kind of girl - love fairies, unicorns and other mythical creatures. I colored her using my Copics and Stampin' Up markers. Then used Iridescent Ice embossing powder on her wings and trim. Happy Valentine's Day everyone! I have another card to share with you that is my submission for The Pink Elephant Challenge first challenge. This is the cutest blog ever!! 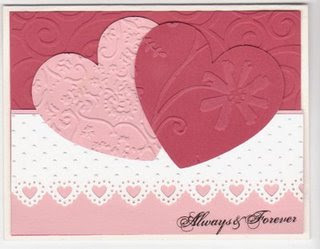 The challenge was to create card that is pink, black and white in honor of their signature colors. This card didn't quite come out as I envisioned, but still cute. I used an image from one of my swaps, Rachelle Ann Miller "Enjoy the Moment" that I colored with Prismacolor pencils and then added a bit of glitz with Copic Spica pens and Diamond Dust glitter on the butterfly. Black grosgrain, a white gel pen and a Cuttlebug embossing border along the bottom This was a lot of fun to put together. It's that time again and Gabby came up with a fabulous idea! I love this. 1. Go to Gabby's blog to get the template for the heart. Follow her instructions on how to save and print it. 3. Photograph and upload to your Splitcoast Gallery using the keywords BLOGC3. If you do not have a SCS gallery, you may upload to whatever online gallery you use or your blog. Be sure to post a comment on Gabby's blog with a link to your card. 4. I hear Gabby has a fabulous prize for the winning submission. I used Pink Pirouette for my base. This is just the best pink ever! I'm going to have to stock up before it retires. Next I used GinaK's Pure Luxury 80lb cardstock and embossed with a Cuttlebug folder that I can't remember what it's called. Then I printed the template directly onto Tempting Turquoise dp and cut it out. I really like double-sided paper, with this template I don't feel like I'm wasting any sides. Then I filled my heart with pretty primas. Finished it with a sentiment from a $1 set that my sister gave me. Be sure to visit Gabby's and Joni's blogs and galleries, too. Leave them some love. I hope you enjoy this challenge and I can't wait to see what you make! I have decided that I'm going to do less swaps (*gasp*!) and more challenges. I'm going to participate in them and originate them. Fun! Are you ready to take some challenges with me? OK so this little cutie is for the Club Anya Challenge - Marie designed the sketch. I went to bed last night thinking about this card and how was I going to accomplish making Anya a basketball player. With basketball being in full swing at my house, basketball is on my mind a lot. The sketch is perfect for a basketball court. But which Anya, I only own two actual Anya stamps - Dress Me Anya and Mermaid Anya. So another challenge was laid out. I used Dress Me Anya and didn't ink her eyes. I drew in her eyes because, well, we can't have a basketball player playing with her eyes shut (she could probably do it but...), I used her cute little outfit that's a cotton top (I imagine it that way) and a denim skirt and turned it into a basketball uniform, again only inking parts of the stamp. I didn't have any rub-on numbers, but she's Anya and isn't a number - she's an A for adorable. I created the background with a faux woodgrain technique that I've seen several You Tube videos on, so I can credit any particular person. And then using the rounded edge of the box of mini-glue dots I created the court. My youngest son, Levi, helped me make the ball look like a real basketball. CONGRATULATIONS! Anita Hovey is the winner of my Super Challenge Saturday Cuttlebug Challenge!! Whoo-hoo!! Isn't it just lovely!! I want that border punch. And count 'em girls, 4... F-O-U-R Cuttlebug folders were used and it's just wonderful. Please PM via SCS your address so I can get your prize in the mail.